Discussion in 'Ranchero Tech Help' started by 74Chero, Nov 6, 2018. Manifold should have provisions for mounting stock bracket/cable?No issues with 400m. That's an Air Gap on that 400? That's nicely done, doesn't look out of place at all. No, they don't make an air gap intake for a 400 - but he's right about the provisions for the stock bracket/cable, it would look just like his as shown. You'd think it would fit because 351m/400; can you post a pic of the mounting and the cable/bracket? This may take that 429/460 cable, and/or a fabbed bracket. No problem, we'll keep our eyes peeled. Measure your cable from firewall to end,I may have the cable in pic.If it will work,you can have it! I think this will be your solution; I was sure the 460 cable was longer. 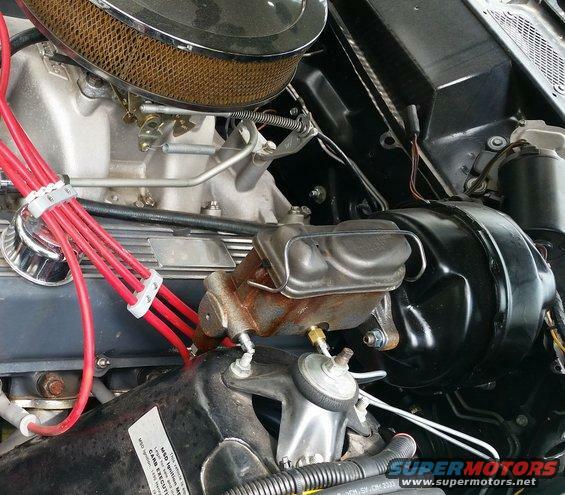 I bolted the throttle cable and bracket from the 300 straight-6 that originally came in my Ranchero, to the Weiand Stealth intake on the 460 I put in there, and the linkage hooked to the carb like it was supposed to be there. Sometimes you get lucky, I suppose. Your Chero had a 300 CID six? Was that factory? I know Galaxies had the same family six available, but those were 240 CID. Anyway, yeah, you appear to have lucked out. You could get a 70 or 71 with a 6 and three on the tree. 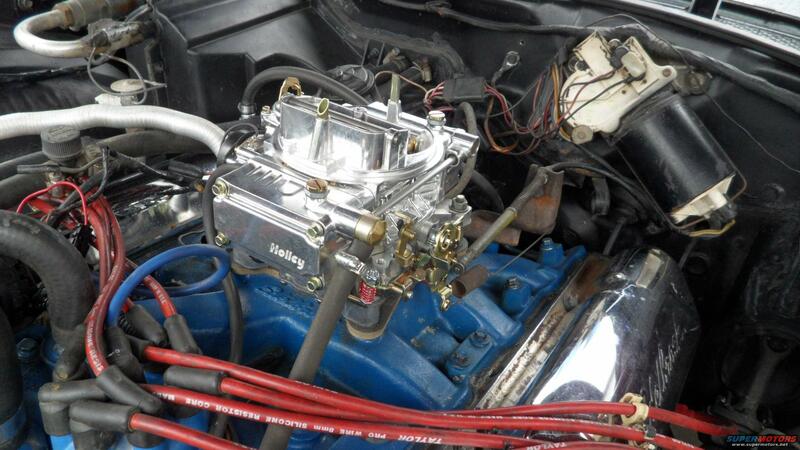 The 250 was stock for the 70 base 'chero. Right, I remember that, but that engine series is different from the 240/300 engine series. I've only known the 300 to be installed in 1/2 and 3/4 ton trucks and vans. You are correct. Mine had a 250, three on tree. Base as base can get. Every other Ford '6' I've had was a 300 (Maverick, Grenada, F100). And, FTR, I strengthened the lower crossmember, because it was really weak looking, and different than the other Chero's I had which came with 302's. I never could figure that out. The Fox platform cars also had a different crossmember, though not weak-looking; why not just make one design, strong enough for the heaviest big block, and mounts that accomodate each engine to that member? Same reason they would remove one bolt per car if it's not needed. Money! 10 cents of extra steel per car, times 500,000 cars, starts adding up. There are companies that do nothing but take new cars apart and give the OE's reports on what they think can be removed. You know, I was sure that was getting done, but I always thought the carmakers kept it internal, for reasons of proprietary secrecy.